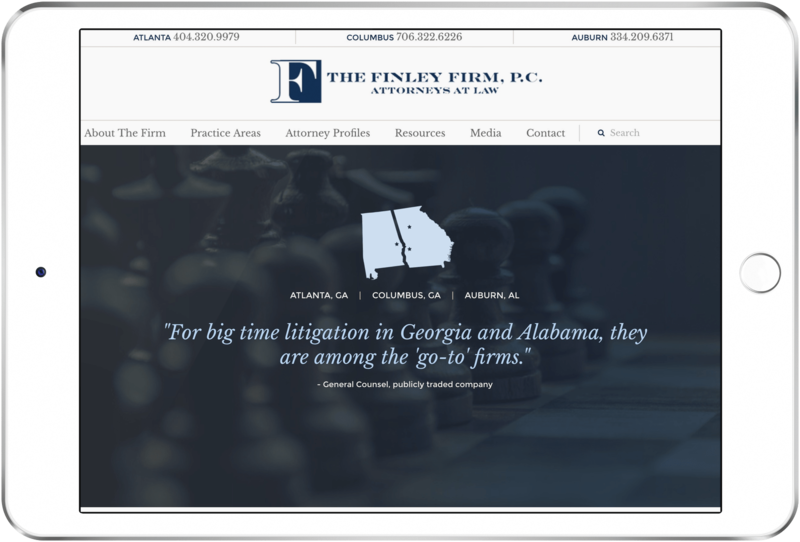 The Finley Firm provides quality legal service in numerous areas of civil litigation and workers’ compensation across the states of Georgia and Alabama. The firm’s lawyers have defended and prosecuted thousands of cases, and are distinguished for their remarkable success handling multimillion dollar cases. For nearly a decade, Southern Web has supported The Finley Firm with their websites and digital marketing initiatives. This year, we launched their responsive redesign from the previous Expression Engine site to the new WordPress-based site. It’s always a great compliment for us to watch clients return to Southern Web again and again for their web development needs.